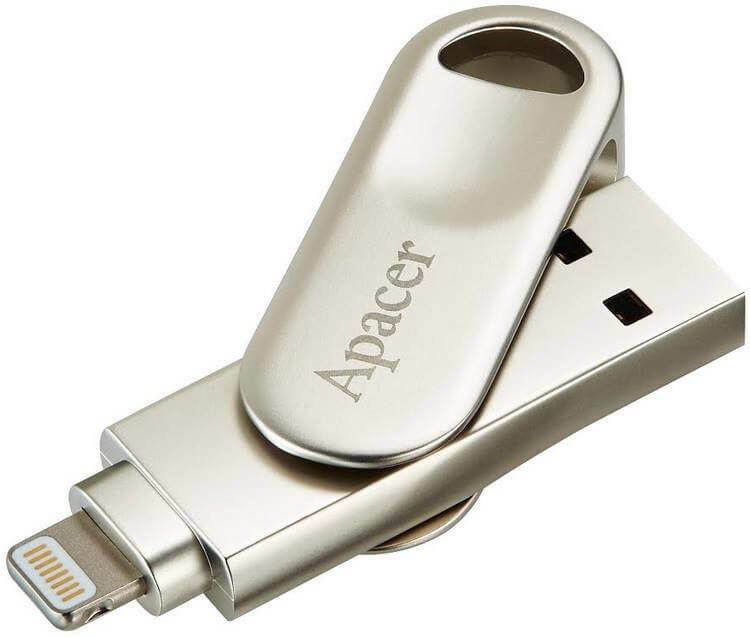 Mobile storage solution firm Apacer has introduced the AH790 dual interface swivel USB flash drive, which is specifically designed for Apple devices. Built with zinc alloy, the Apacer AH790 features a 360-degree swivel cap design to keep the Lightning connector protected when not in use. The cap is intended to pause at four directions to make the spin more precise, too. The integrally molded strap hole is also functional, as it allows users to attach their accessory to the flash drive. The AH790 is equipped with Apple Lightning and USB 3.1 Gen 1 Type-A dual interface. To help users in managing files in their mobile device and in AH790, consumers can download the brand’s exclusive iFileBridge app. It supports One-touch Backup function that duplicates data from an iOS device to AH790, releasing phone’s memory space. The app also has the Capture-and-Store feature, wherein users can simply take photos or record videos, while saving it directly to the AH790. It can even play the video for you, serving as a personal theater. The Apacer AH790 is available in 32GB and 64GB memory capacities. Its local pricing, and availability are yet to be announced.